Copyright © 2007 by Diana L. Guerrero. All rights reserved. Well, another year is ending and we are in for another new beginning. So, I am wondering what you’ve planned for your pets for the holiday and what New Year’s resolutions you will share with your household critters. First, let’s start with the holidays. This year I’ve seen some interesting pet products. I often wonder how many mountain residents are going to splurge on Swarovski collars for their favorite feline or dearest dog. Most people I know make sure they have new warm beds and a warm sweater or coat. Those who are more active are going for the booties. Personally, I don’t think much about the booties and find that many dogs don’t like them. But, if you are hiking and active during the freezing temperatures they are a good idea to protect those precious paws. My favorite products of the year were discovered at the Super Zoo show in Las Vegas. Super Zoo is a pet industry trade show where many manufacturers show off their wares for pet retailers. I met the ladies of Art-Casso, they invented the painting kits for pets and it was nice chatting with them. The kits are actually a no-mess invention that allows your pet to create their own masterpiece. Cleverly named, the Pup-casso and Kitty-casso kits allow you to turn your domestic cat or household dog into an artist sans the mess. You’ll have a nice memento or a great gift for another pet lover in you life. The gals also told me that it is a great activity for pet parties and that all sizes of animals can get into the activity. What I discovered is that they actually have a Pup-casso Party Kit just for those special occasions. The kit provides everything needed for up to ten canine-cassos. Don’t worry, the five color paints are non-toxic, there are paw protectors, the art paper, and of course, the picture frame. The gals haven’t forgotten parents or kids either—their site also includes human party games. Then there is the Doggie Java—no it is not coffee for dogs because that is really bad for pups. Instead it is a cleverly packaged powdered vitamin treat that dogs of all ages can drink. The combo kit comes complete with a 30 day supply of vitamins, a bonescottie, and a critter sized java (36 ounce) drinking cup. Mari Justin, an energetic dynamo, came up with the doggy java idea about ten years ago. Her vet had told her that her animals were dehydrated. Despite multiple water bowls throughout the home, her animals did not regulate themselves. As she pondered this over her morning cup of java, she thought that it would be great to be able to share the morning ritual with her pets and began to research just how pets might benefit. Working with veterinarians, she finally came up with the perfect powdered formula (which also happens to be easy to transport). In 2000 she formed her corporation, Doggylicious and now the product is ready to go. The next product is more about you as a pet owner. Do you need a deterrent to keep your cat, kitten, or pup out of your holiday décor? Then you’ll want to use the SSSCat, a motion activated device with an aerosol that lets out a noisy burst of harmless spray when any animal tries to get into something that is off limits to them. I tend to like devices or reprimands that are not connected to the presence of humans. This one repels animals up to three feet away. It can also be used to keep animals off counters, tables, the trash, and away from electrical cords and plants. The uses are unlimited but use it to protect your holiday tree. Another great idea that is out this year is the orthopedic heated beds by Wellness. They feature therapeutic orthopedic foam with gentle heat and a massage option. The core is 3” thick, the massage and heat element are removable and replaceable, and mountain residents will love that the cover is machine washable. Probably the best bed to repel dirt and moisture is the Dog Gone Smart Bed. I met Chris Onthank, one of the partners last year. These beds stay clean naturally using Nano technology. They are resistant to liquids, dirt and coat oils and contains ActiveSilver, a permanent antimicrobial that kills bacteria and viruses eliminating doggie odors, they have a protective finish remains effective even after washing and I think these are the perfect mountain critter product. So, after you survive the holidays it is going to be time for those annual resolutions. If you are like most people, you are going to swear that you are going to do a lot of things—including working on your fitness. This year be sure to include your pet in the new fitness campaign. According to Dr Marty Becker, a popular veterinarian and author, more than half of American dogs are overweight. If you gaze down upon your dog and don’t see a waist, or if your cat is not very sleek, your animal is probably obese and needs to join you in the new regime. Play and exercise is the best thing for all of you. Last year, Dr. Marty Becker teamed up with Dr. Robert Kushner put out a book called “Fitness Unleashed.” Exercising together gives people more confidence and motivation to exercise AND increasing your weight loss success. The guide should get you on your way because it starts you with a manageable walking program (three 15 minute walks per week) to get you into the habit. You can find the book at any bookstore, or order it online using the ISBN 978-0-307-33858-7 or by using the link below. In the meantime, have a great holiday season and a very happy New Year! 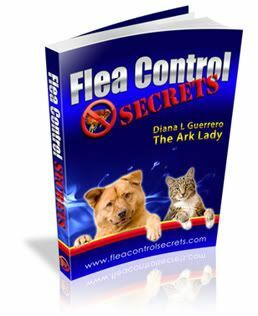 About The Author: Diana L. Guerrero has been called the “Miss Manners of the Animal World.” The Ark Lady lives in the mountains of southern California and is an animal behavior consultant, speaker, and author. Questions for this column may be submitted via www.arkanimals.com or via mail to PO Box 1989-215, Big Bear Lake, CA 92315.